Our Company name is Cavedine's Appliance Service Telephone:(315) 391-7987 Our home page: www.cavedinesapplianceservic.com We are located in Syracuse, NY and service applinaces in Onondaga county and most of Central NY..
We have been in business for over thirty years and offer service on most brands. We give you an exact repair cost before we repair your appliance no surprises no gimmicks just honest work at a fair price We offer warranty service on GE, Whirlpool, Frigidaire, Maytag and many more. All work is guaranteed. In addition, we also offer same day or next day service, whenever possible. Plus-One Solutions Approved. Ensuring the highest levels of service quality for our customers. We work with homes and businesses throughout the area,professionally installing a wide range of appliances. Our technicians are highly trained and fully insured. Our trucks are stocked with as many parts as will fit. Our goal is to complete your repair in just one trip. 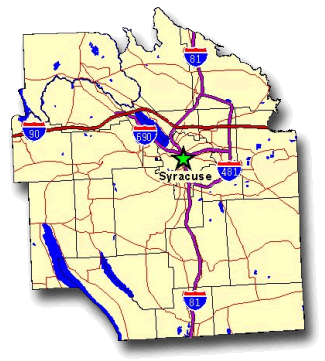 Our service area includes all of Onondaga County. (Baldwinsville, Camillus, Cicero, Clay, Liverpool, North Syracuse, Syracuse and more) We do offer services to neighboring counties, please call for additional information.